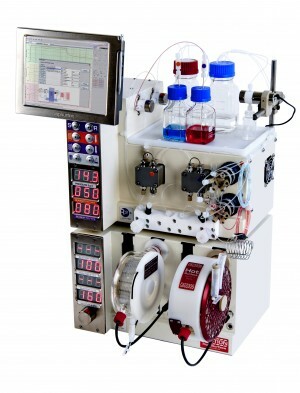 Flow chemistry is a rapidly emerging technology within the pharmaceutical industry, both within medicinal and development chemistry groups. 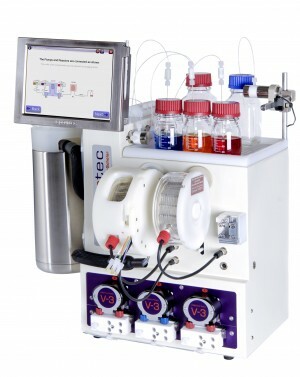 The advantages of flow chemistry, increased safety, improved reproducibility, enhanced scalability, are readily apparent, and we aimed to exploit this technology in order to provide small amounts of pharmaceutically interesting fragments via a safe and scalable route, which would enable the rapid synthesis of multigram quantities on demand. Here we report a general and versatile route which utilises flow chemistry to deliver a range of known and novel indazoles, including 3-amino and 3-hydroxy analogues.